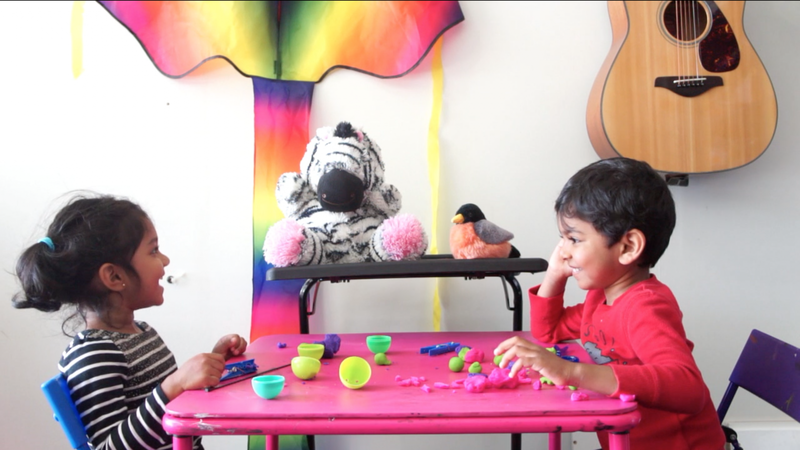 Telling a story to a stuffed zebra might look like just a fun kids’ activity. But for computer science PhD student Layne Jackson Hubbard, it’s much more – it’s a way for kids to develop language, social and cognitive skills. The prize provides $80,000 for the MindScribe team to keep working on their robotics technology, which includes a smartphone app that can be placed inside a friendly looking toy and prompts children to tell it about their project, like a drawing or Lego creation. Before starting her undergraduate degree in computer science, Hubbard taught preschool for several years in a Boulder school that used the “storybook journey” curriculum. As part of the curriculum, teachers would collect students’ stories about what they were creating, asking questions to draw them out. “Those stories were so amazing, so I thought about how I could scale it, and how could I build some technology around it,” she said. Hubbard explains that once you learn to read and write, you have ways to reflect on things you have learned or done, like note-taking or journaling. But for pre-literate children, there are no tools other than telling someone else, which might not be possible for children in underfunded classrooms, or those whose parents work multiple jobs. Before the MindScribe team could start developing their technology, they had to be sure kids would talk to a stuffed animal in the first place. The first iteration was a stuffed animal with a cell phone inside, and a real person on the other end of the line asking questions. Once they validated the approach – their first subject talked for seven minutes – they moved on to a more typical robotics setup, with Arduinos and microprocessors. However, due to cost concerns and for ease of updating, they came back to smartphones – just without the “Wizard of Oz-ing” this time. The current iteration of their hybrid mobile app speaks 14 languages and uses a natural language processing model the team built from scratch to account for both differences in children’s speech patterns and for wildly imaginative storytelling. Hubbard explained that many programs – Alexa or Siri, for instance – have been trained to understand adults and are constrained by a certain set of tasks or expectations about what a user will be asking. “It’s a whole different ballgame when you’re building natural language models for early childhood because what you know about speech patterns in adults totally breaks down,” she said. “Plus, they could be telling a story about a refrigerator chasing a fox,” which would sound like gibberish to many language models. Through her foundational research for the app, Hubbard has noticed that many pre-literate children show computational thinking – like decomposition, abstraction and sequencing – in their storytelling. Someday, that could prove helpful for those looking for new ways to get kids started in computer science early. This summer, Hubbard and her team are participating in the Catalyze CU business accelerator to further explore the business side of their startup. Now that she has six other teammates working with her, Hubbard knows the stakes are a little higher. “I want to make sure I can make wise decisions as a leader to actually implement valuable technology,” she said. She added that her goal for her PhD is to lay enough groundwork for the business so that she can continue doing what she loves after she graduates.